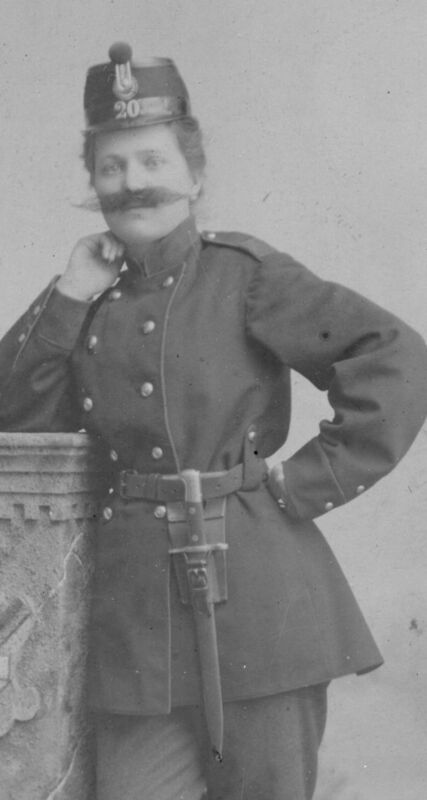 Woman in a Swiss uniform, c. 1900. Father out of town during father-daughter dance? No problem! 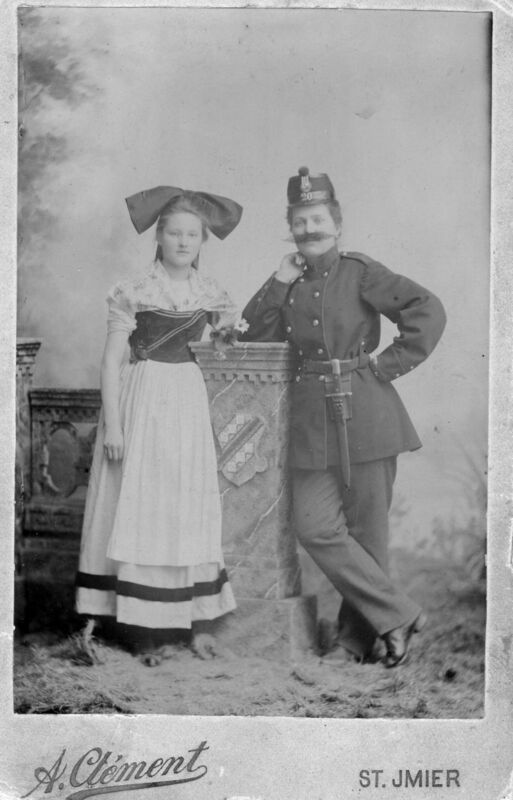 This woman shows to advantage just about every button on the uniform tunic belonging to her husband(?). Her daughter(?) has the look familiar even today on the faces of teenage girls when embarrassed by their mothers. The photograph studio is in St. Imier, near Bern in the francophone part of Switzerland. I do not recognize the coat of arms on the pillar in the photograph. It is not the one used by St. Imier today.